An action packed blockbuster. Red Dawn meets 1984. The perfect book for kids 10-14, even those who don't like to read. Jack wants to hang out with his friends but his mom's rules keep him grounded until they wake up to machine gun fire and everything has changed. Foreign soldiers have invaded his hometown cutting off power, shutting down communications, and restricting travel. To make matters worse, he doesn't know if his dad is alive, wounded, captured, or dead. He wants to find him, however, his mother doesn't care, the soldiers are in his way, and the cop who busted him is no help at all. First off, I love that this story is set in Canada. It is set in Vancouver near the American border. I am Canadian and love stories set here. This is the first book I have read from Shannon Peel and was very pleased with the authors writing. It flowed really well together and the author developed the backdrop without over doing it. I will admit that Jack (the main character) got on my nerves sometimes but I just kept reminding myself that is what a thirteen year old boy is like. They are coming into their manhood and moving away from needing mom. Jack lives with his mom full time and only sees his dad, who moved into the city, every second weekend. This book is one of my "broaden my genres" books and I was pretty impressed. I enjoyed it a lot. North Korea invades Canada and starts taking people to camps, the stadium and the arena depending on who they are. They ration food to the community and threaten to kill anyone who is caught with more food than they are allowed. Everyone has been given the rules and know the consequence for breaking them. With everything going on in the world today this story very well could be real. 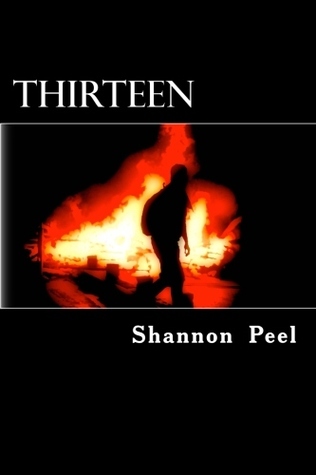 It is a YA novel and I would suggest it for 12 years and older because of the little violence in it. The are a few scenes when people are killed and Jack witnesses it. The author had me hanging on to my kindle pretty tight at one spot when Jack, his mom, and cop Nick risk their lives to search for Jack's dad Jason. They need to cross boarders that the North Korean military have set up. Yikes! If you do not like cliffhangers you may want to wait to read this book as the reader is left wanting to know more. I actually said out loud "REALLY, ARGH!" while my husband sat beside me laughing as he knew it must have been a cliffhanger I had hit. I give this book a 4 out of 5 stars and I recommend it to anyone who love YA action, war type books.